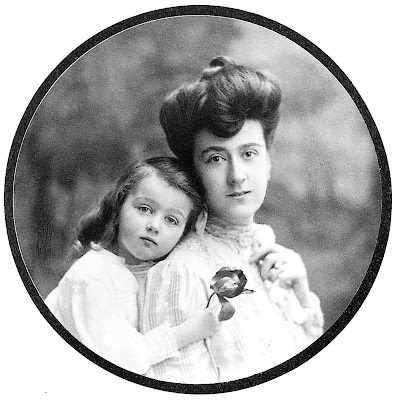 Edith Vanderbilt with Cornelia, Edith and George's only child. Truly, this reminds me of my own gardens. Spectacular view of one of the terrace gardens. 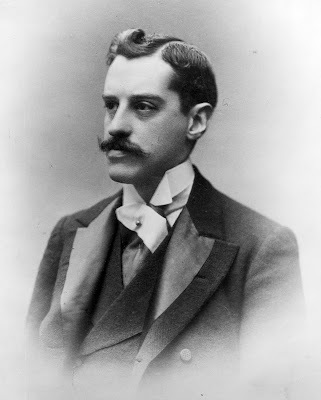 George Vanderbilt was the fourth and youngest child of William Henry Vanderbilt and his wife Maria Louisa Kissam. When William died in 1885 of a stroke, he left a fortune of approximately $200 million, the bulk of which was split between the two older sons. George had inherited $1 million from his grandfather and received another $1 million on his 21st birthday from his father. Upon his father's death, he inherited $5 million as well as the income from a $5 million trust fund. George was not all that concerned with the family business, which was operated by his older brothers. This left him time to spend in intellectual pursuits. His interests ran to philosophy, books, and art. He also traveled extensively, taking his first trip to Europe at age ten and journeying to Europe, Asia, and Africa many times during his adult life, and becoming fluent in 8 languages. It was while traveling the mountains of North Carolina that George Vanderbilt first glimpsed his destiny. In the late 19th century, Asheville, North Carolina, was a popular health resort, when train service brought tourists to the southern Appalachians to enjoy the fresh mountain air, the pleasant climate, and the mineral springs. George and his mother visited in 1888 and he was captivated by the rugged beauty of this area and found it to be the perfect setting for a new home. In 1889, Vanderbilt started purchasing acreage, continuing to buy land until the estate eventually encompassed 228 square miles, about 125,000 acres. 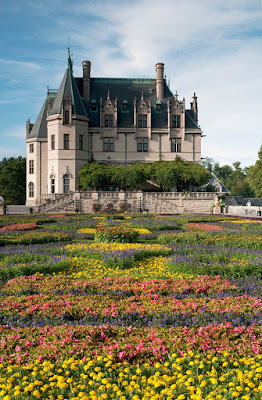 Construction on Biltmore began in 1889. 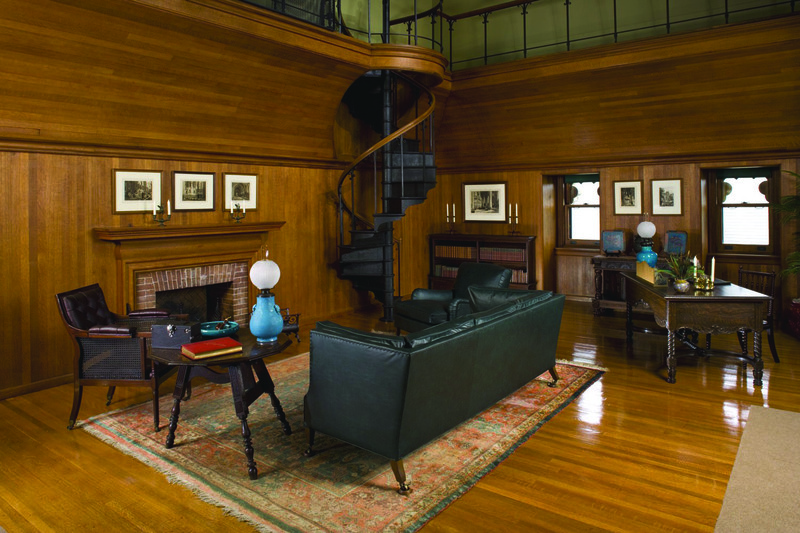 Here, Vanderbilt could fulfill his vision for an estate - one that would house his extensive art collections (including Oriental carpets, tapestries, antiques, paintings of Renoir and Whistler, and a chess set that had belonged to Napoleon), serve as a retreat for entertaining, and also be a profitable, self-supporting business. 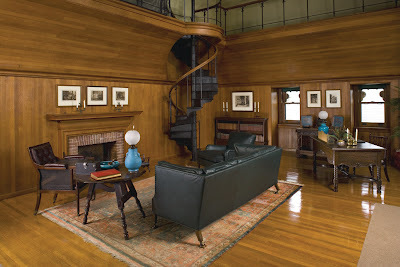 Two of the most distinguished designers of the 19th century were engaged by Vanderbilt - the architect Richard Morris Hunt and the landscape architect Frederick Law Olmstead. 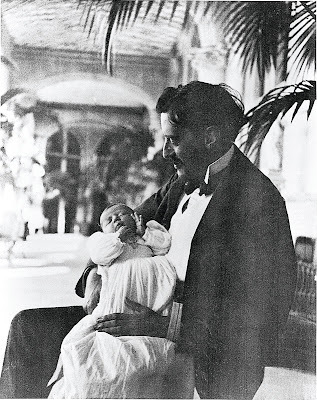 On Christmas Eve, 1895, Biltmore opened its doors for its first family celebration. Vanderbilt led the life of a country gentleman. He had a great interest in horticulture and oversaw experiments in scientific farming, animal bloodline breeding and forestry. On Olmsted's recommendation, Chauncey Beadle, a Canadian horticulturist was hired in 1890 as nursery superintendent to create a nursery to supply the millions of plants needed for the grounds. 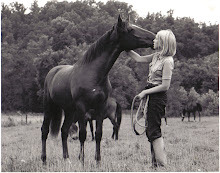 Beadle remained on the estate for 60 years. Gifford Pinchot was engaged in 1891 to oversee renovation of the forest. A graduate of Yale, Pinchot studied forestry at the Ecole National Forestiere in France and developed the first planned forestry program in America at Biltmore. This is the 102-step Grand Staircase which stretches to the fourth floor. 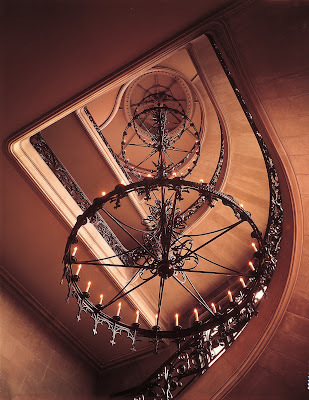 A large, wrought-iron chandelier runs through the center, illuminated by 72 electric bulbs, and suspended from a single point. This is known as the Claude Room, named for French painter, Claude Gellee. Several prints after paintings from Claude Lorraine originally hung in this room and are displayed here today. 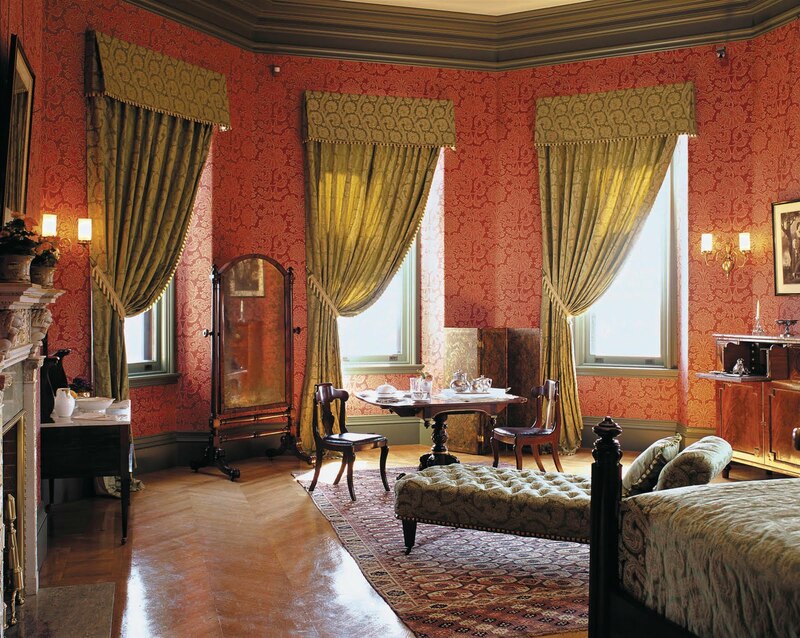 This is the Damask Room, named for the damask silk curtains surrounding the windows. 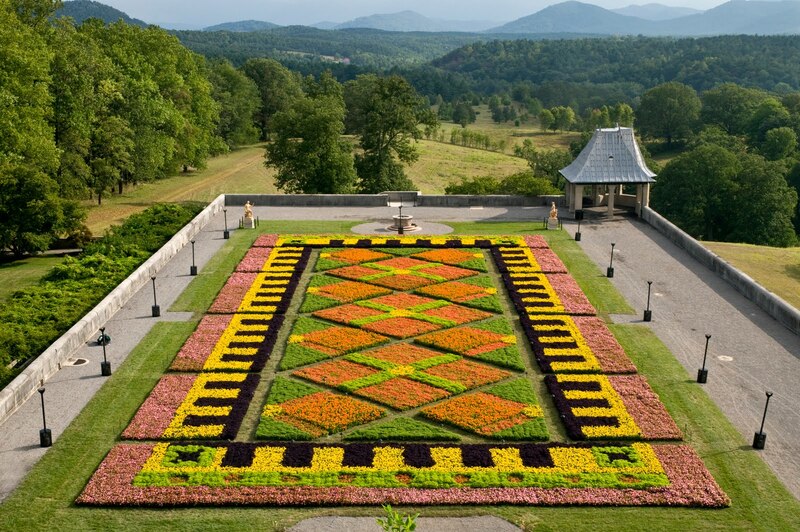 It's located in the southwest corner of Biltmore and features commanding views of the South Terrace, Deer Park, the Lagoon, and the mountains. 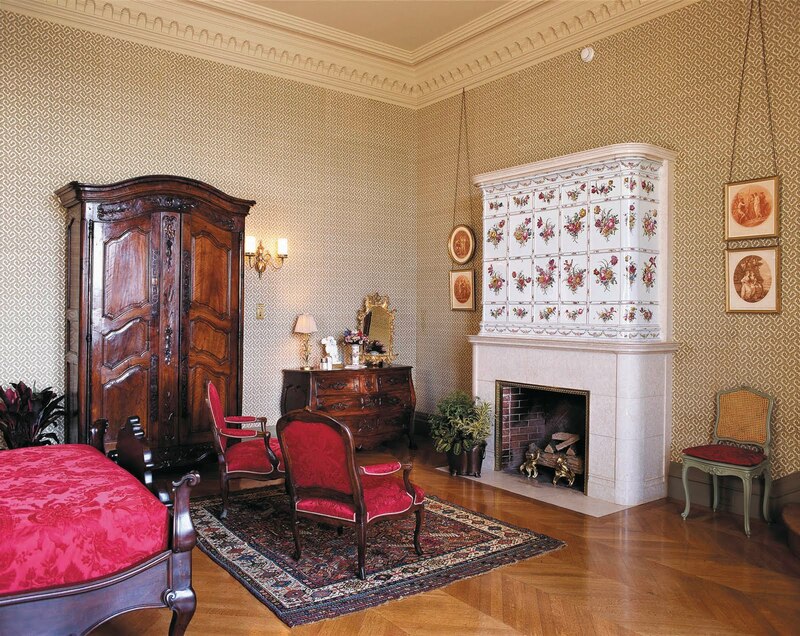 This is the Tyrolean Chimney Room, featuring a stunning over-mantel constructed from a tile stove George Vanderbilt purchased through his European travels. 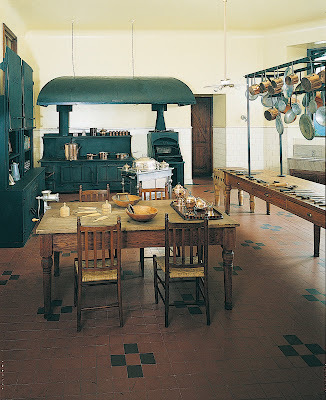 This is the Main Kitchen at Biltmore where most of the cooking was done. Additional work would be done in the Rottiserie and Pastry Kitchens. The Main Kitchen is obviously well stocked with such tools of the chef's trade as polished copper pots and pans, coffee mill, sausage stuffer, a large mortar and pestle, knives, sharpening steels, and choppers. In the background is a metal serving trolley, fitted with chafing dishes, used to transport hot foods to the upstairs dining rooms. The stove is seven and a half feet long and it contains a separate grill on one side. On the other side is a custom made iron cabinet to hold pots, pans, and serving dishes. There were two dumbwaiters in the kitchen - one manual, the other electric. The electric dumbwaiter has push button controls and runs 38 feet between the basement and second floor. It has a lifting capacity of 250 pounds and an operating speed of 100 feet per minute. This is George Vanderbilt's bedroom, where he could enjoy spectacular views of his estate. Located in the southwest corner, the room allowed Vanderbilt to appreciate a commanding view of his property - from the wooded deerpark to Mount Pisgah, 17 miles away. The room is filled with heavily carved and turned walnut pieces design by Hunt and inspired by the grand Baroque style. 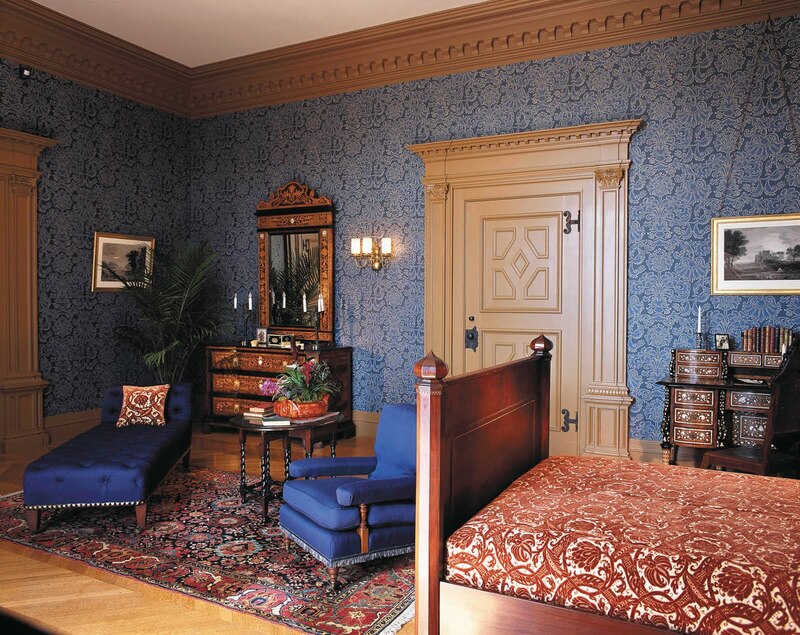 Deep ceiling moldings, 22k gold leaf wall coverings, fine engravings by 16th and 17th century artists from Germany and Holland, and 19th century bronze sculptures from France all contribute to the richness of this decor. One thing I noticed in all the bedrooms at Vanderbilt was the size of the beds. They appeared Lilliputian. Actually, the beds are standards sized beds. They just appear smaller because of the massive scale of the rooms. Mrs. Vanderbilt's bedroom on the other side of the Oak Sitting Room from Mr. Vanderbilt's bedroom. It's decorated in 1897-1898 with sumptuous cut velvet and silk, in preparation for Mr. Vanderbilt's upcoming wedding. When Mrs. Vanderbilt arrived at Biltmore after there honeymoon in Europe, she saw her room just as it appears today. 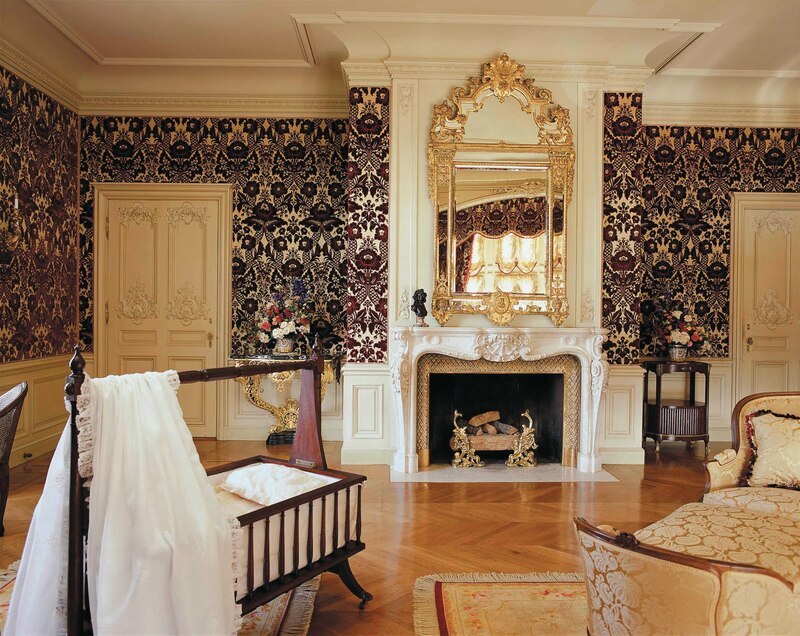 The room is oval shaped and decorated in the Louis XV style, a luxurious style popular with affluent Americans in the late 1800's. 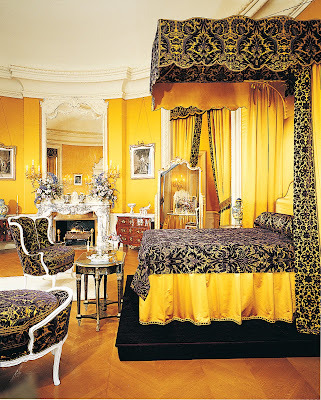 Hallmarks of the Louis XV style include silk-covered walls, fancily trimmed mirrors, Savonnerie carpets, and cut velvet draperies on the windows and bed. The velvet is a duplicate of the original fabric. 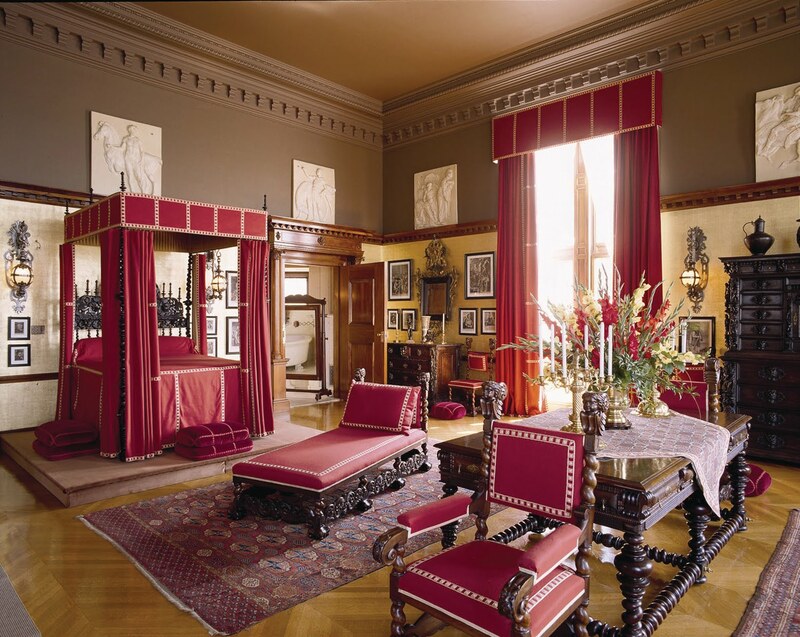 It was woven for the restoration of the room in 1990 by Tassinari & Chatel, which retained the loom pattern from which the original had been made a century ago. 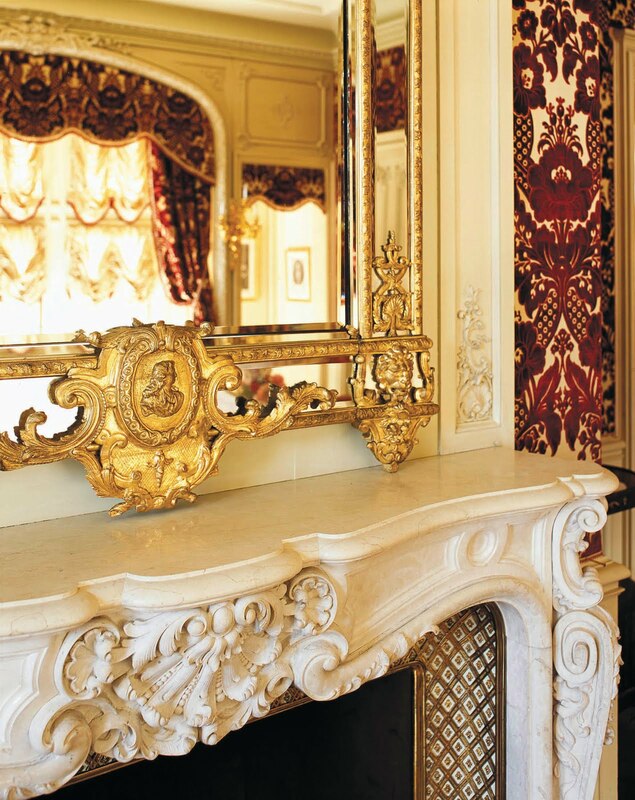 On the mantel is a Louis XV clock elaborately embellished with porcelain figurines and flowers. It is believed to be Phillipe Barat's masterpiece which earned him entry into the French Clockmaker's guild in 1764. There is also a collection of French and German prints from the 1700's. The observatory at Biltmore. 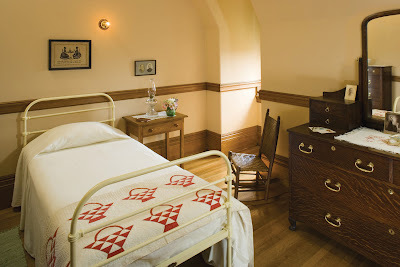 The servants at Biltmore had their own comfortable bedrooms. Three are open for viewing on the fourth floor and there are more downstairs. This is the servants' hall, one of several areas used for staff meals. 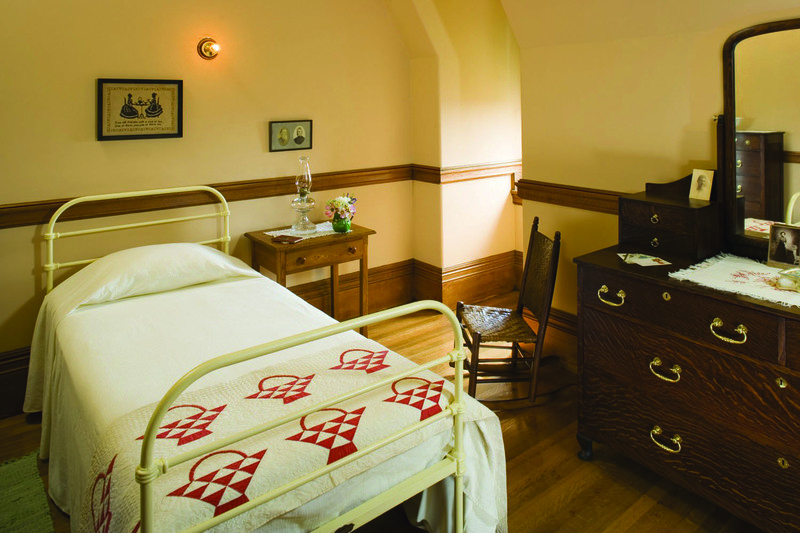 The domestic staff was ordered in a strict hierarchy as was traditional in the late 1800's. Among the upper servants were the chef, butler, housekeeper, valet and lady's maid. 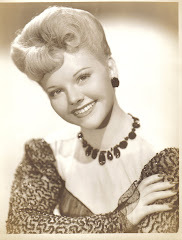 Lower on the social scale were the footmen, chambermaids, houseboys, laundresses, and scullery maids. The two groups rarely ate or socialized together. This is the Louis XV Room featuring liberal doses of gold and silk. The room literally shines on a sunny morning. Rather opulent, don't you think? The ornate fireplace in the Louis XV Room. 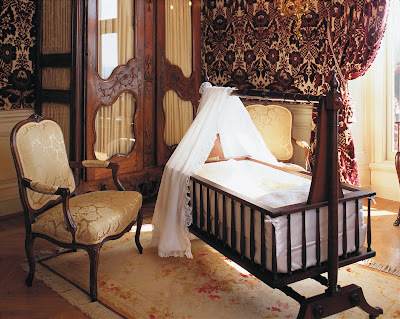 This is Cornelia's crib in the Louis XV Room Edith chose this room in which to give birth to Cornelia in 1900. Cornelia gave birth here to her two sons, George Henry Vanderbilt Cecil (in 1925) and William Amherst Vanderbilt Cecil (in 1928). In 1960, William Cecil left a banking career in New York City and Washington, D.C., to join his brother in managing Biltmore, which they inherited under the terms of a trust. Their goals were to return the home to its turn-of-the-century splendor and to perpetuate their grandfather's ideal of self-sufficiency. 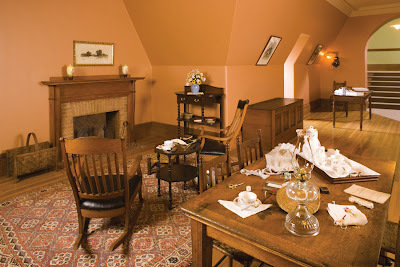 Under the Cecils' stewardship, more than 90 rooms with thousands of original objects, were opened to the public. They began an on-going preservation program which has made it possible to experience the Estate as it was during the Vanderbilts' residence. 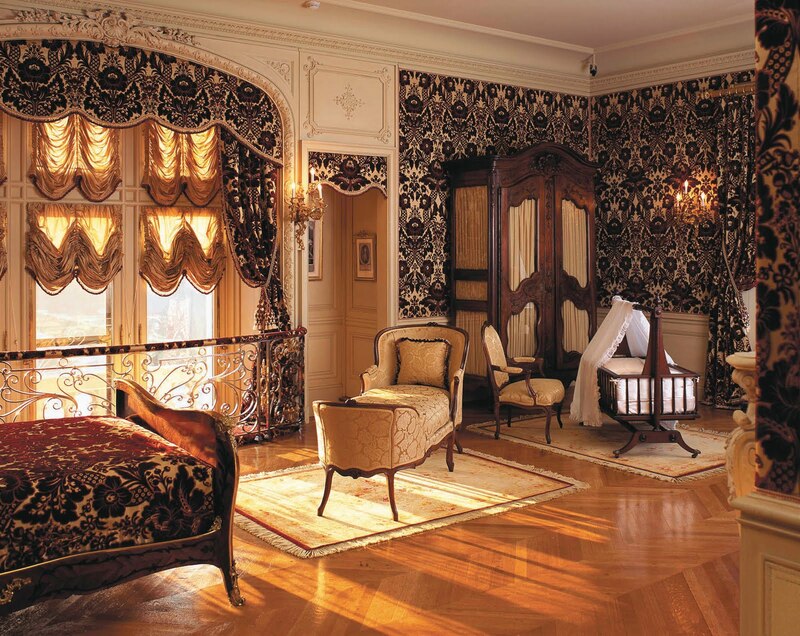 For example, Mrs. Vanderbilt's bedroom was restored in 1990, using reproductions of the original French fabrics woven on the same looms used a century earlier. Conservators in the Library removed, restored, and reinstalled the 2000-square foot ceiling painting. Conservators work on a daily basis to repair and preserve the collection of furniture, artwork, and rare books. 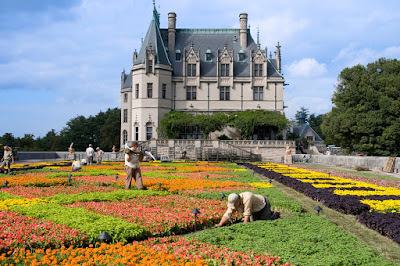 Work continued to keep Biltmore a self-sufficient landmark. 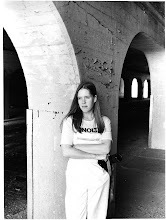 In 1979, the dairy became a separate business and the dairy barn was remodeled for use as a winery and has become the most visited wine-making facility in America. Angus and Limousin beef cattle were introduced in the farm operation and their breeding program has produced several champions. Each winter, Candlelight Christmas Evenings features about 40 decorated trees and rekindles the festive spirit of a Gilded Age holiday. Today, William Cecil's son, William A. V. Cecil, Jr., serves as CEO of Biltmore Estate. continuing the preservation efforts begun by his father and focusing on ensuring that Biltmore Estate lives up to the standards established by his great-grandfather more than a century ago. 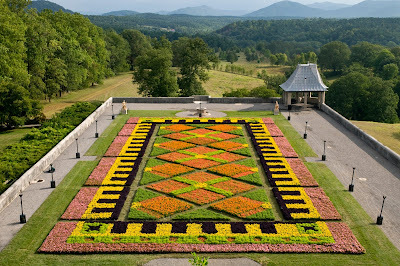 Today, Biltmore is entirely self-sustaining, in keeping with George Vanderbilt's vision. 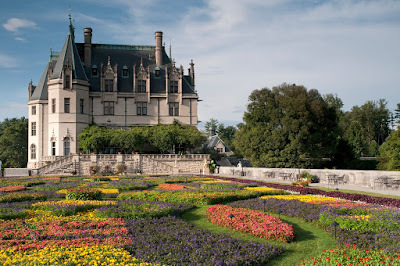 Biltmore receives neither private grants nor government subsidies. 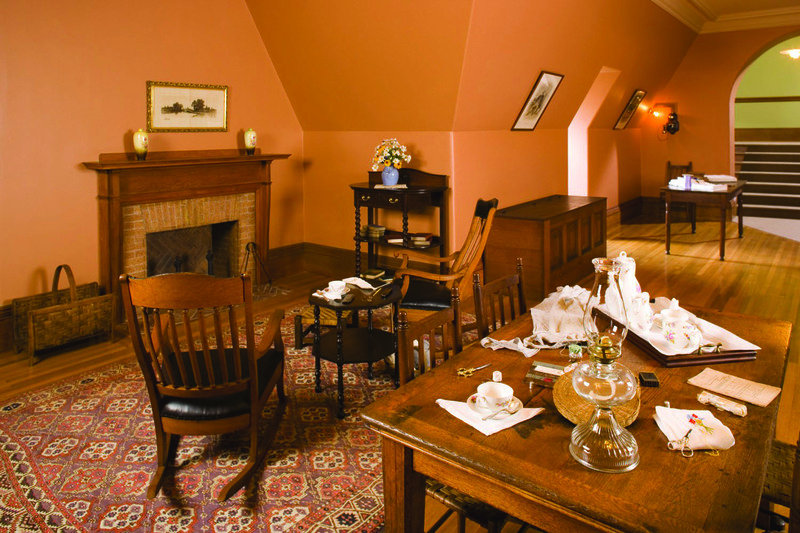 Its operations and preservation efforts are supported by a variety of ventures including guest admissions, restaurants and shops, collections of finely crafted Estate reproductions, and selective timber harvesting. Biltmore also contributes to the community as one of the region's largest employers, with a staff of 1500. 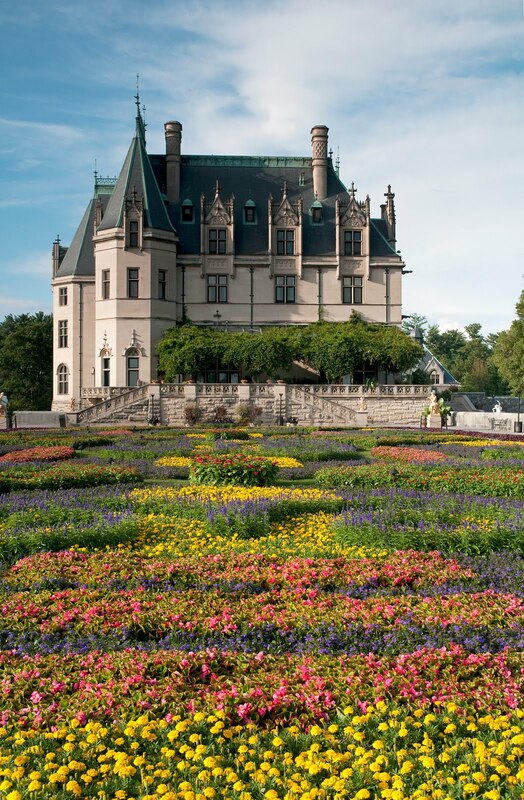 Perhaps most importantly, Biltmore Estate maintains the tradition of hospitality engendered by George Vanderbilt, by welcoming more than 900,000 guests each year.